Thanks to Belli for providing me with product in exchange for my honest review. All thoughts and opinions shared below are my own. Hormonal acne has plagued me since high school. Since I have been either pregnant or breastfeeding the past five years, I haven't been able to find products that were strong enough to manage it, while still being safe for my babies. That is, until now! Belli Beauty was created by a husband and wife team while they were expecting their first baby. The Doctor and beauty expert pair realized that quality pregnancy-safe products are difficult to find. All Belli products are safe and effective during pregnancy, breastfeeding and beyond. 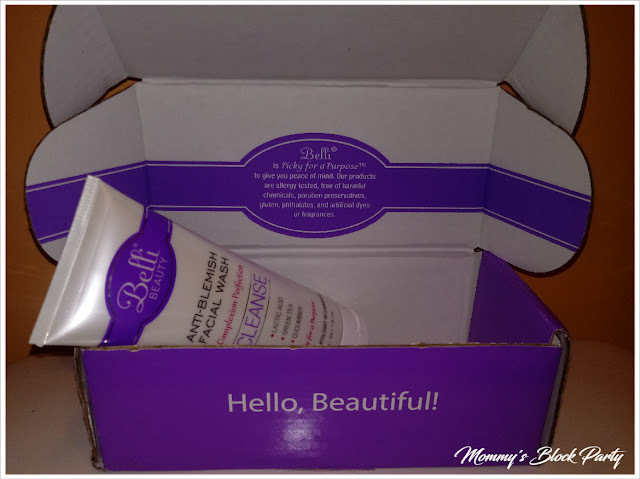 I was sent Belli Beauty's Anti-Blemish Facial Wash after it's recent nomination of “Best Pregnancy Skin Saver” by What To Expect. Since I am always looking for safe skin solutions, I was excited to see what the hype was all about. The Anti-Blemish Facial Wash has a light, pleasant smell that doesn't offend my sensitive pregnancy nose. It produces a thick lather and rinses away without leaving any residue. After washing, my skin feels clean without being overly dry. After using Belli's Facial Wash for a little over a week, I see and feel a noticeable difference in my skin. I have significantly less blemishes and the one's I do have, are less inflamed and not at all painful. My skin is much softer, and looks more radiant. I plan to be a faithful Belli Beauty customer for a long time! 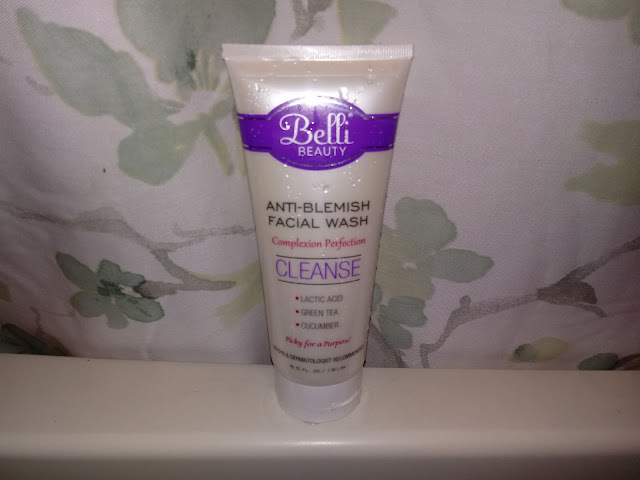 You can order Belli Beauty's amazing Anti-Blemish Facial Wash directly from their website. Since a little goes a long way, the 6.5 oz bottle will last quite a while. There's also a travel-sized bottle and many more great, safe products. Special thanks to Belli for allowing me to review and share about their award nominated Skin care. I have heard a lot of nice things about their products. I've used a few of the Belli' products including the belly oil and I love them!